Center 10"/38 Strands Wide. One side 2” longer for the back rigging. 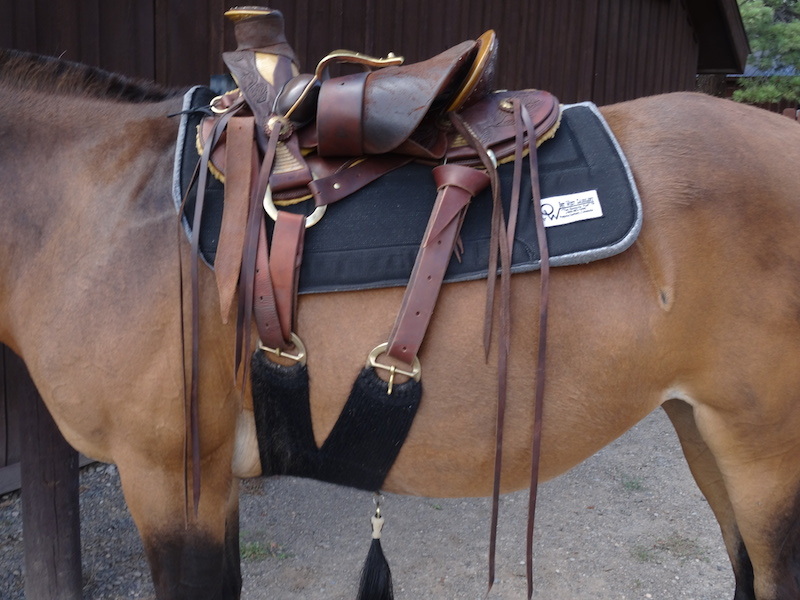 *This cinch is not only great on pack saddles but a great solution for horses/mules with flat backs where the saddle wants to roll. Our special designed Pack Cinch shown with a riding saddle! It is 2" longer in the back half. It spreads cinch pressure over a very large area further back for more comfort and stability. You don't have to cinch as tight. Front half of cinch stays out of the way of front leg movement, especially helpful for gaited horses. Between this pack cinch set up, a breast collar and crupper it will help stabilize even the most rolly polly horses if the saddle fits correctly. Works great for any riding discipline including roping. Has ring to attach breast collar.